Today’s main news: Equifax CEO vows to make changes in USA Today op-ed. dv01 closes Series A with big name investors. SmartBiz Loans surpasses $500M in SBA loan funding. stREITwise rolls out first REIT, focused on institutional-quality office buildings. Klarna completes BillPay acquisition. Wish Finance intros SME lending on blockchain in Singapore. Today’s main analysis: What millennials would give up to get out of paying student loans. Today’s thought-provoking articles: Exposing Silicon Valley’s dark side. UK inflation rate jumps more than expected. Lenda expands into more states. DigiFi launches next-generation Digital Loan Origination System. Two innovators showcasing their work at Finovate. Acting Comptroller of the Currency says he’s not ready for fintech charter applications. How fintech is reshaping the small loan market. Digital advice platform for retirees launches. Philadelphia Fed to hold conference on blockchain impact on regulatory policy. Erik A. Falk joins Star Mountain Capital as senior advisory board member. UK inflation rate jumps more than expected. Chapters Financial to offer AI chatbot. FCA warns investors about ICOs. Klarna completes acquisition of BillPay. Visa owns almost 1 percent of Klarna. Goldmint focuses on intersection between gold, pawnshops, and P2P lending. Crowdfunding: A new form of real estate investing in Estonia. Starling, Zopa CEOs to speak at LendIt Europe. How banks are driving API-first strategies. OpenTap aims to lend 100cr by Dec. 2018. Wish Finance intros blockchain-based SME lending. Trade finance gap narrows with minimal fintech impact. SixCap responds to complaints about investing strategy game. Last Thursday evening we announced a cybersecurity breach potentially impacting 143 million U.S. consumers. It was a painful announcement because of the concern and frustration this incident has created for so many consumers. We apologize to everyone affected. This is the most humbling moment in our 118-year history. Equifax Security first discovered the intrusion on July 29. Understandably, many people are questioning why it took six weeks to report the incident to the public. Shortly after discovering the intrusion, we engaged a leading cybersecurity firm to conduct an investigation. At the time, we thought the intrusion was limited. The team, working with Equifax Security personnel, devoted thousands of hours during the following weeks to investigate. dv01, the data management, reporting, and analytics platform that offers institutional investors transparency and insight into lending markets, today announced a $5.5M Series A round, led by OCA Ventures. Ribbit Capital, Illuminate Financial, and CreditEase Fintech Investment Fund also participated in the round, joining existing dv01 investors Leucadia National Corporation and Pivot Investment Partners. OCA advisor Jack Lavin has joined dv01’s board, and will work alongside existing board members from Jefferies LLC, a subsidiary of Leucadia National Corporation, and Quantum Strategic Partners Ltd., a private investment vehicle managed by Soros Fund Management LLC. SmartBiz Loans, the first SBA loan marketplace and bank-enabling technology platform, today announced that it has surpassed half a billion dollars in funded SBA loans. This milestone comes on the back of other recent successes for SmartBiz, including the addition of a fifth bank to its software platform and ranking as the number one facilitator of traditional SBA 7(a) loans under $350,000 for the 2016 fiscal year, over Wells Fargo and other major banks according to SBA lending data released in November, reflecting its 2016 fiscal year. The company’s first-of-its-kind software platform automates a bank’s underwriting to cut time and costs by up to 90 percent for processing SBA loans under $350,000. By automating the underwriting process, the platform helps banks get low-cost capital into the hands of small business owners in a matter of weeks instead of months. This is vitally important to any busy, small business owner who needs capital. The $500 million in funded SBA loans reflects not only continued growth for SmartBiz, but also for the entire market of bank-originated, small-sized business loans. Post-2008, banks reduced the number of smaller business loans they made because they couldn’t process them efficiently enough to make a profit. The number of people with student loan debt is staggering. According to the latest numbers from the U.S. Department of Education, 42.3 million Americans are paying back $1.33 trillion in federal student loan debt. Lenders are collecting payments on another $64 billion in private student loans. A survey of borrowers by the Federal Reserve puts the median student loan debt balance at $17,000, with monthly payments of $222. Student loan debt can be suffocating for those who are struggling to make payments each month. What are millennials willing to deal with to have their student loan debt forgiven? Even before the ink was dry on an article Nathaniel wrote last year about an online lending start-up, Social Finance, and its unusual success — headlined “SoFi, an Online Lender, Is Looking for a Relationship” — he began hearing from people who painted a very different picture of what life looked like inside the company. But in the intervening months, tales of sexual harassment and wrongdoing in Silicon Valley took center stage, in part because of Katie’s own reporting, which exposed a dark side to an industry known for growth, wealth and fantastic employee perks. Companies like Zenefits, Theranos and Uber made it clear that many venture capitalists and the companies they funded were incentivized to focus on growth at any cost, with good governance and corporate culture getting short shrift. We are already getting more emails and phone calls that point to where the story might go from here — both with SoFi and the issue of bad behavior in Silicon Valley more broadly. These issues aren’t going away anytime soon. stREITwise is introducing a new way to invest in real estate online commission-free by allowing direct investment on its website. Today they announced a Regulation A+ initial public offering for their first Real Estate Investment Trust (REIT) – 1st stREIT Office – which seeks to provide a diversified portfolio of institutional-quality office buildings with a revolutionary low-cost structure. Because it’s filed as a Regulation A+ offering, 1st stREIT Office will allow accredited and non-accredited investors alike the opportunity to participate. This announcement comes shortly after 1st stREIT Office successfully raised over $20 million in a private offering to acquire the Panera Bread HQ Property in St. Louis, MO. At 99% occupancy in three separate buildings, the Panera Bread HQ Property includes over 290,000 square feet of Class “A” office space that is leased to many large tenants, including Panera Bread (World HQ), New Balance (Regional HQ), Wells Fargo, Edward Jones, Nationwide Insurance, and others. With the Panera Bread HQ Property acquisition, 1st stREIT Office has been able to make 10% annualized dividend distributions to its existing investors. The company seeks to acquire more high-quality, stabilized office buildings in undervalued markets across the United States. While Non-Traded REITs typically charge upfront fees of 10-15%1, stREITwise caps its upfront fee at just 3% by cutting out the middleman, eliminating financial advisor commissions, and passing the savings on to investors. The New York firm said Tuesday that loans to wealthy clients, companies and consumers would contribute almost half the $5 billion in revenue growth it is projecting by 2020. Harvey Schwartz, a top lieutenant to Goldman Chief Executive Lloyd Blankfein, on Tuesday said persistently low volatility in financial markets meant that the third quarter would be a “challenging” one in terms of trading. J.P. Morgan Chase JPM 0.29% & Co. CEO James Dimon and executives at Citigroup Inc. and Bank of America Corp. projected trading declines of between 15% and 20% for the quarter. Goldman on Tuesday laid out a detailed plan to grow revenue, which has remained flat since the financial crisis. Its target of $5 billion in new revenue by 2020 hinges on businesses that have been footnotes for most of the firm’s 147-year history: lending, asset management and tending to the mundane needs of corporate clients and money managers. Lending to wealthy clients, companies and consumers could add $2 billion of new revenue over the next three years, said Mr. Schwartz at a global financial-services conference hosted by Barclays PLC. Online lender Lenda has announced plans to expand its reach to more states along with increased investment in its software platform, which offers a complete refinancing or mortgage origination transaction online. Pave, Inc announces an initial coin offering (“ICO”), scheduled for mid-October to fund Pave’s Global Credit Profile project, which could provide a ground-breaking solution to the problems associated with credit reporting worldwide. Based on its deep knowledge of lending to individuals with limited credit history (“thin files”), Pave’s GCP will give consumers and credit institutions access to richer and more accurate personal financial data than traditional credit bureaus provide, while significantly improving data security. GCP has the potential to unlock access to credit for millions of people — such as millennials and immigrants — who are marginalized by the current financial system. While the centralized systems of companies such as Experian, Equifax and TransUnion continue to perform a valuable service by acting as a reliable source of information for third parties, they are plagued with systemic problems including a lack of transparency and control over personal data, vulnerability to fraud and data theft and unnecessary administrative costs. Using blockchain and related technologies, Pave’s GCP will decentralize the storage and ownership of an individual’s financial data by placing the user in control. The GCP thereby removes the reliance on a singular record keeper making security breaches infinitely less likely. DigiFi, an enterprise financial technology company, announced today the launch of its cloud-based digital loan origination system (“LOS”) for banks, credit unions and consumer finance companies. DigiFi’s next-generation LOS enables the automated online delivery of multiple consumer lending products through a single platform, driving better customer experiences and lower operating costs. DigiFi’s proprietary technology was built over three years to digitize the consumer lending process, offering consumers immediate feedback and funding from any device at any time. The platform supports multiple products including Personal Loans, Credit Cards, Personal Line of Credit, and Student Loan Refinancing, and DigiFi is adding additional products, including Home Equity, Auto and Mortgages. The platform is highly configurable, empowering banks, credit unions and consumer finance companies to utilize their own risk models, documents and procedures. Two entrepreneurs who jumped up on the stage Tuesday were Lisa Shields and Ellison Anne Williams. Shields, a longtime purveyor of payment technology, is the founder and former CEO of Vancouver-based Hyperwallet Systems Inc. After handing the reigns of that company over to Brent Warrington in 2015, she went on to launch Fi.Span, a provider of cloud-based platforms for commercial banks. In the second half of the podcast, data mining expert Ellison Anne Williams also addressed the predominantly male demographic of her field. The effect it has on her approach is next to none, she said. As the CEO and founder of data securitization startup Enveil, Williams brings more than a decade of experience in large scale analytics, information security and privacy. The U.S. banking regulator, the Acting Comptroller of the Currency, said on Wednesday that he is not ready to accept applications from financial technology companies seeking a special purpose federal charter. His comments underscore the broader difficulties faced by regulators globally as they attempt to keep up with dramatic changes in banking industry brought about by the increasing use of digital technologies which threaten to undermine traditional financial services businesses. Banks may soon be experimenting with a new way to engage with customers: retail pop-ups. Those could be in a variety of formats, he said: a bus promoting a certain bank that drives a number of customers to an NFL game; a university campus presence where banks look to attract customers as they become of banking age; a shopping center that normally just has ATMs where banks could roll up for a weekend service to attract these potential new customers. Samsung, the consumer electronics giant, provides the devices that change how bank employees conduct business — to better influence the customer outcome. Samsung has been working with bank branches for the last five years, incorporating its display screens into retail spaces as they take old signage and posters and move them to digital platforms. In some branches, greeters and bankers are also using Samsung tablets, he said. Fintech companies around the world have moved swiftly to fill the gap left by mainstream lending institutions due to constraints related to interest rates and profit margins. 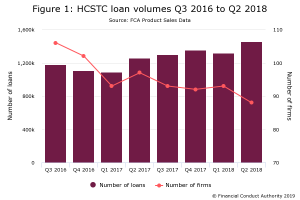 Big lenders in the market are under constant pressure to increase profit margins, which limits the size of their addressable market, especially when trying to woo small and medium-sized business borrowers. Their interest rates are often high as they seek to remain competitive in the larger spectrum of the financial services industry. One of the largest beneficiaries is LendingClub Corp. (NYSE:LC), which has seen its revenue increase 1,278% in under five years, from just over $37 million to over $500 million as of June 30 on a trailing 12-month basis. Brazilian-based fintech companies are paying investors about 22% returns per year while borrowers are charged interest rates from as low as 1.7% to as high as 6.3% per month based on their credit profiles. Matt Fellowes has launched United Income, an automated retirement-planning tool for retirees. The Federal Reserve Bank of Philadelphia announced that it will hold a FinTech seminar in conjunction with the Journal of Economics and Business on September 28-29, 2017, focused on consumers, banking, and regulatory policy. Aptly named FinTech: The Impact on Consumers, Banking, and Regulatory Policy, the conference will feature keynote speeches and research from industry experts on consumer protection; roles of alternative information; FinTech lending; blockchain-based currencies; machine learning and artificial intelligence; the new FinTech landscape; and marketplace lending and crowdfunding. The conference will also focus on the disruptive factors of blockchain technology and to what measure they continue to shape regulatory policies. Star Mountain Capital, LLC (“Star Mountain”), a specialized investment manager focused exclusively on the large and underserved U.S. lower middle-market, is pleased to announce that industry veteran Erik A. Falk has joined the firm as a strategic personal investor and Senior Advisor. Mr. Falk is a senior executive focused on strategic initiatives at Magnetar, a $13+ billion alternative asset management firm. Until early 2017, Mr. Falk oversaw the private funds as a Head of Private Credit within KKR’s (Kohlberg Kravis Roberts & Co.) $35 billion credit business and served on the Private Credit Investment Committee, the Leveraged Credit Investment Committee and the Portfolio Management Committee. He also oversaw KKR’s investment in Star Mountain. Before joining KKR in 2008, Mr. Falk spent eight years at Deutsche Bank where he held several roles including founding the Special Situations Group and Co-Heading the Global Securitized Products Group. Mr. Falk began his career in the Asset-Backed Securitizations group at Credit Suisse First Boston where he knew Star Mountain’s Chairman, Brian Finn, whose prior roles include Co-President of Credit Suisse First Boston and Head of Credit Suisse Alternatives (with approximately $100 billion in AUM at the time). The UK’s annual inflation rate climbed to a higher-than-expected 2.9% in August, matching a four-year high reached in May, the Office for National Statistics (ONS) said on Tuesday, two days ahead of a key meeting by members of the Bank of England’s monetary policy committee. The consumer prices Index (CPI) climbed from 2.6% in July, the ONS said on Tuesday. The August reading matched the highest since April 2012 and beat the 2.8% average forecast by economists polled by investing.com. The annual core inflation rate, which strips out volatile food and fuel costs, also jumped to 2.7% from 2.4% in July, topping the 2.5% expectation by economists in an investing.com survey. Advisory firms need to do more to attract the next generation of clients or risk selling themselves short, financial adviser Keith Churchouse has said. His firm Chapters Financial is developing a chatbot platform for its online advice business Saidso. The chatbot will be aimed at the generation of clients who are more comfortable with changing and emerging technology. They are usually 45 years old or younger; the typical age group of customers who already use the Saidso website, which has been operational for the past two years. The UK City watchdog has warned investors of the “high risk, speculative” nature of initial coin offerings as their popularity booms, becoming the latest global regulator to sound the alarm. The Financial Conduct Authority warned that ICOs are mostly unregulated and potentially fraudulent, while investors may be provided with “unbalanced, incomplete or misleading” documents by the ICO issuer. Even if an ICO is not fraudulent, the regulator said, investors still had “a good chance” of losing their entire investment. Advantages of platforms with a track record – I prefer platforms that have a track record and have operated at least 1 or two years. Loan term and loan types – There are three main types: consumer loans, SME loans and property secured loans. SME loans has further subtypes like invoice financing. It can be a good idea to diversify over different loan types and different platforms. Diversification – Diversification can be achieved faster on platforms with very many comparable consumer loans, and will take longer on property platforms which launch only few large property loans. Autoinvest – Before you use the autoinvest I suggest to spend the first days/weeks making manual investments on the primary market to get a better understanding of the loans on offer. Secondary market – Before you use the secondary market, I suggest you first spend some time investing on the primary market to deepen your understanding of how the platform works. Cash drag – Investors only earn interest on money invested into loans. Cash deposited, but not (yet) invested will earn no interest. Unsecured vs. secured loans – Consumer loans listed on platforms are mostly unsecured (exception some car loans). SME loans offer no or or some type of asset as security and property loans typically offer a first or second charge on the property as security. Usually it is preferable to lend with some kind of security offered. Recovery process – A certain percentage of loans will default. This is normal in p2plending and nothing to worry about as long as this percentage stays in a healthy relationship to the interest offered for the risk. Tax – If the country you live in does not allow you to offset default losses against interest income earned, it may be a good idea to invest into loans with lower interest rates, but also lower default rates, to achieve higher returns after tax than with a more risky strategy. Final tip – Start slow. P2P lending has somewhat of a learning curve. Klarna Bank AB (publ) today announces that the acquisition of German online payments company BillPay has been completed. This will strengthen Klarna’s position as one of the leading e-commerce payment providers in Europe and further accelerate its growth in Germany, Austria, Switzerland and The Netherlands. However, it wasn’t clear how much money had been invested. Now Swedish tech site Di Digital has revealed that Visa took part in Klarna’s $75 million euro acquisition of Billpay, a German competitor, in February. Out of the $57 million euro share emission that went to financing the deal, Visa paid roughly a third, or $22 million. GoldMint is a comprehensive P2P solution that allows businesses like pawnshops to raise credit. Recently, a Time article revealed that 28 percent of college educated millennials between the ages of 23-55 have accessed short-term lending from pawnshops and payday loan providers in the last five years. GoldMint is holding an initial coin offering (ICO) in less than a week’s time starting Sept. 20, 2017. They have published a detailed whitepaper which lays the details of their crowdsale. 4. How did you start building ETHLend? We started by developing the Smart Contract. It was ideal to begin with the token escrow contract, which allows the collateral to be held securely in the Smart Contract until the borrower repays the loan. If the borrower does not repay, the lender can claim the tokens and realize any losses. We made many interesting findings during the development and wrote the white paper after Alpha DApp. We believe this is a big advantage for us since practice does not always follow theory. Also, delivering an Alpha for the Ethereum main-net is important proof-of-concept wise. 7. Do you think the system will be more popular among individuals or companies? Hard to tell since at the moment individuals are more keen on using cryptocurrencies. ETHLend has received a lot of interest from miners who want to expand their mining facilities or purchase more rigs. There are also growing tendencies for companies to use blockchain technology. We have received inquiries about pledging some of the ICO tokens for financing pre-sale marketing efforts. What I would like to see is that merchants who use cryptocurrencies would adopt ETHLend for financing and increasing their business. 8. What is the difference between the type of crediting ETHLend offers and the scheme “have sold the possessed currency-have bought ETH for raised money”. Good point. Since our main financing instrument is pledging digital tokens, it provides opportunity to receive ETH when one does not want to sell digital tokens. Such might be the case when one has a token portfolio, investment funds like TaaS or ICONOMI. Funds or individuals could easily keep the possession of the token positions and still get more liquidity for growing their portfolio. On the other hand, a blockchain startup might keep more tokens at their possession when pledging the token before an ICO for a loan and repaying the loan after an ICO. A strategy like that leaves more tokens for the startup to recruit more talent. 11. How much time do you think you need to launch the project in case you obtain sufficient financing? ETHLend has an extensive roadmap that stretches to the late 2019. At the moment we are still developing the ETHLend DApp. However, we need further resources to comply with the features set in the roadmap. We are also looking to add more developers and financial experts to the team. The basic collateral based lending is available on ETHLend but there are lot of functions that require more time to develop, such as being able to borrow Bitcoin or to use the price feed for the collateral value. We aim to have a fully sophisticated DApp by the end of 2019. 14. The last tricky question: is lending good or bad? Lending is an instrument that should be used in the correct circumstances and for the correct funding goals. Lending could be compared to other products – when consumed wrongly, they might be bad and vice versa. Igors Puntuss, co-founder of Bulkestate.com, explained that as wages rose rapidly and with it “population welfare”, meaning disposable income and savings, people living in Baltic countries began to look for safe and profitable ways to invest their spare cash. But banks are not able to provide smaller investors with attractive interest rates on deposits and, as the market of real estate crowdfunding is far from maturing, there are opportunities to be had. He added that high reliability does not equate to low profit, when it comes to real estate crowdfunding. The website offers an annual interest rate of 14% at a low threshold for those who are risk adverse, and the minimum investment required is just 50.00 euros at Bulkestate.com. Anne Boden of Starling Bank and Zopa’s Jaidev Janardana will be speaking at LendIt Europe, which brings together fintech experts from across the continent. The conference takes place on 9-10th October at the InterContinental London – the O2, where more than 120 speakers will take to the stage with experts from banking, lending, technology and regulation. Anne will be speaking on LendIt’s keynote panel, which will look at the digitalisation of finance and how customer expectations are changing. The latest edition of the PYMNTS.com B2B API Tracker™, a FI.SPAN collaboration, examines how APIs are helping both banks and smaller businesses address their fears and embark on new ventures in new markets. Recent research indicates merchant anxiety over non-payments is widespread. According to a study by Payoneer, 75 percent of small- and medium-sized businesses (SMBs) have backed away from global trade over concerns of not getting paid for their services. OpenTap, a fintech firm that enables peer-to-peer lending for middle and low income borrowers, aims to facilitate ₹100 crore in short term loans by the end of 2018. The Chennai-based fintech firm provides alternate financial services to blue-collared workers, which is two times of net salary. As on date, it has provided credit worth ₹3 crore to 1,200 borrowers. Wish Finance, based in Singapore, has announced the launch of its blockchain-based lending platform for small and medium businesses. The company has reportedly issued 100+ loans in 2017 during a soft launch with every loan successfully repaid and 0% default rate. Wish Finance plans to keep its entire portfolio on the public blockchain, anonymized, so investors can audit its performance at any given time. Wish Finance is offering merchant cash advances and business loans with interest rates based on the company’s real cash flow, not assets. Wish Finance said it has direct access to POS terminals infrastructure to see real time financial transactions, which it combines with the local market data for scoring. Wish says it issues a loan in 24 hours, and then deducts a few percents of the merchant customer’s’ payments to automatically repay the loan. In this way, repayments are made seamless and effortless for SMEs. Each loan is said to be insured from customer’s bankruptcy. The global trade finance gap has fallen from US$1.6tn to US$1.5tn, but the impact of fintech has been minimal to date. But despite the industry’s zeal for digitisation, just 20% of firms reporting have used digital finance platforms. In line with global trends, peer-to-peer lending is the most-used fintech model (23%). 74% of rejected trade finance transactions are for SME and midcap applicants, with 29% of these being rejected over KYC concerns. Last year’s survey showed that 56% of SME trade finance proposals are rejected, compared with 10% of multinationals. Singapore-based financial technology company Six Capital Groupresponded Thursday to complaints from users who say they’re unable to cash out from the firm’s web-based strategy game. The game, called Tagg Switch, works similarly to how trading currencies works: Players purchase one of six types of so-called “Nodes” that represent a different currency — either the U.S. dollar, Singapore dollar, British pound, euro, yen or the Australian dollar. But a report from Singapore’s The Straits Times last week said users have complained online about facing problems cashing out of the game. However, the report added that there weren’t yet any complaints registered with the Consumers Association of Singapore, a consumer protection group.